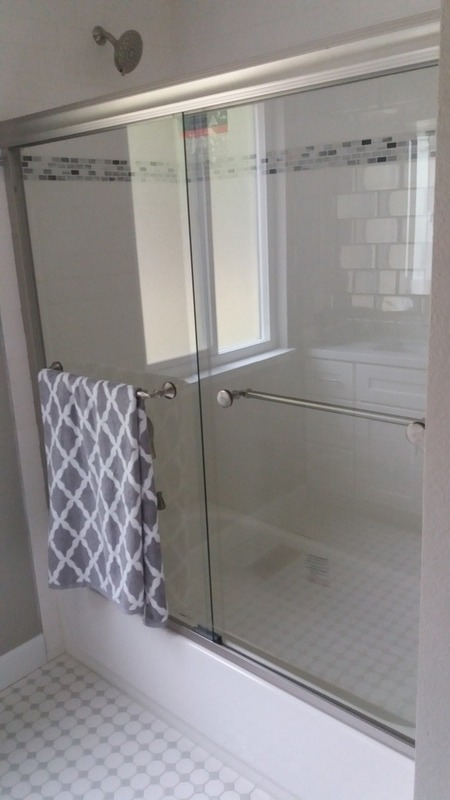 Subway tile shower surrounds are one of the best looking tiles for your bathroom remodeling project, and it has many benefits over other tiles. Not only is subway cheaper, at less than $2.00/sqft but its easy to install and very forgiving when being installed. Dal tile 3×6 tiles on a brick pattern looks amazing, especially when coupled with metal edge strips and mosaic tiles. 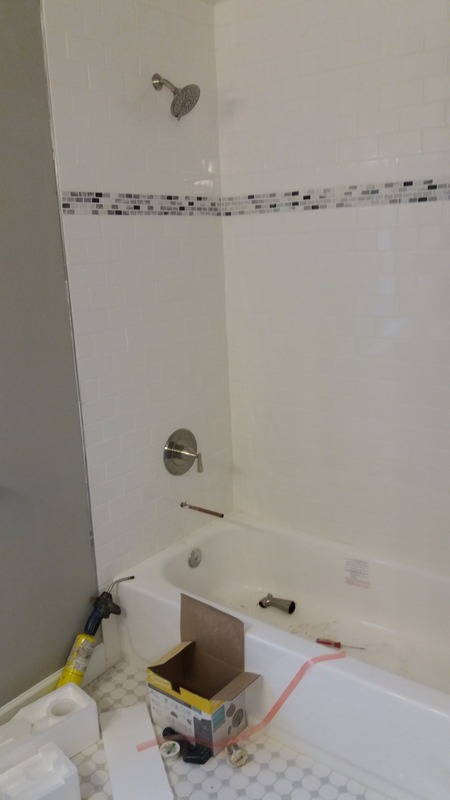 The white tile by daltile also has a great mosaic made by dal tile as well that looks pretty good and is the same size as the 3″ tiles they make. Other benefits of subway tile is that its easy to clean and easy to repair. Removing small tiles is a lot easier than removing large tiles, and less costly to replace them in the future. This shower pictured above is nearly complete, and in the process of having the tub spout and trim installed. A little caulking and paint touch up on the edging, and this shower turned out very nice!